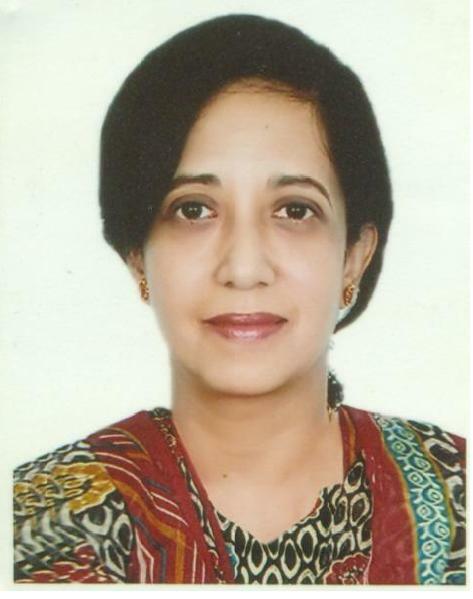 We're introducing Prof Sumaiya Khair, Adviser, Executive Management at Transparency International Bangladesh, and Professor of Law at the University of Dhaka. Sumaiya is leading two ACE research projects on climate finance governance and the pharmaceutical industry in Bangladesh. Find out more about her work. How did you discover and develop your interests in governance and development? Were there any notable moments or events that guided your career? As a lawyer by training and a legal academic by profession, issues of human rights, corruption and good governance featured quite prominently at different stages of my academic and professional life. Besides, in a country where many consider corruption to be a way of life, I realised soon enough that corruption is about not only making money in illegal ways or the abuse of power - corruption also deprives people of their fundamental rights when they have to pay bribes to access basic services like justice, education and health. My earlier work with access to justice issues showed me how corruption and absence of good governance influence the justice-seeking behavior of citizens, particularly the poor and the disadvantaged, how the rule of law is bent by the moneyed and the powerful and how rights violators get off scot-free. My interest in the area of corruption and development sharpened with years of association with the work of Transparency International Bangladesh (TIB), which uses a combined strategy of evidence-based research and advocacy to engage both the government and the public on the issue of institutional corruption. My experience with TIB has taught me how to help citizens raise demands for anti-corruption and accountable governance, transparency and accountability on the one hand and on the other, assist the government, non-government and private sectors to practice higher levels of integrity in all aspects of their work. What are your main areas of research interest? What issues are you finding most exciting currently? My areas of research interest include human rights, refugee and migration, governance and integrity, access to justice and legal empowerment, labour standards, child rights and gender issues. Given my involvement with TIB, I am increasingly engaging in anti-corruption research, particularly from the perspective of institutional corruption. I have a keen interest in the study of the intricate and somewhat elusive links between corruption and human rights and their implications for citizens, in particular, the poor, disadvantaged and the marginalised in developing countries. Any recent developments in your research you’d like to share? What are you most proud of? Recently, I co-authored a book titled Governance and Integrity. The National Integrity System in Bangladesh (University Press Limited, 2016, ISBN 978 984 506 248 0). Following an internationally developed methodology, this book examines the capacity, role and governance of the National Integrity System in Bangladesh comprising the Parliament, Executive, Judiciary, Public Administration, Local Government, Police, Comptroller and Auditor General, Election Commission, Anti-Corruption Commission, National Human Rights Commission, Information Commission, Political Parties, Civil Society, Media, and Business. It analyses both the legal framework governing the institutions and actual practice to highlight the gaps between the two and offers a set of policy recommendations for improved performance of the NIS. I believe this book would be equally useful for policy makers, students and researchers on law and governance and anti-corruption practitioners/advocates. How does your work fit into the wider ACE objectives on anti-corruption research? TIB’s corruption and governance research has earned it a particular niche as a leading anti-corruption think tank in Bangladesh. Using selected social accountability tools, TIB has also been successful in catalysing a citizens’ movement against corruption at the sub-national level, which in turn has helped establish transparent and accountable governance in key service delivery sectors in the country. We will bring our hands-on experience in the field to two research projects with ACE. The first is on climate finance governance in Bangladesh, which will highlight the capture and waste of resources in climate change investments. The other is on corruption and failures in quality control in the pharmaceutical sector of Bangladesh. In addition to generating new data, both the research projects will draw on TIB’s earlier work in these sectors. As a developing country vulnerable to the effects of climate change, Bangladesh has received significant amounts in grants from development partners to invest in climate change adaptation and mitigation projects. However, the effective implementation of many of these projects is often impeded by pervasive corruption in the utilisation of these funds, raising questions about the quality and robustness of existing governance standards in the area and the country’s ability to adequately prepare for climate change effects. Our climate change project will look at the multiplicity of agencies that are involved in the allocation, monitoring and implementation of climate change funds. Our hypothesis is that the interdependence between monitoring agencies, allocation agencies, and political organisations is too close for effective control and creates scope for rent capture. The pharmaceutical sector in Bangladesh has a mix of highly capitalised firms that produce good quality products fit for the export market and a string of poorly capitalised firms that make cheap and sub-standard products. Failures in the regulatory structure, corruption and lack of incentives encourage even potentially compliant firms to produce low quality drugs. Our research project on pharmaceuticals will look at policy strategies that would simultaneously address the differences in capabilities of firms and reduce the incentives that inspire violation of regulations. What do you hope to achieve over the next few years working with ACE? Over the years, TIB has developed its own expertise in anti-corruption research in Bangladesh. However, working with ACE would enable us to learn new and emerging anti-corruption research methodologies and to understand better the evolving theories and policy relevant analytical frameworks that shape the anti-corruption discourse globally. This would help us take our work to the next level. Read about other researchers joining ACE's programme of work to make anti-corruption real here.